The sound of birdsong is synonymous with relaxation. It’s a little gift from nature, a treasured moment of calm. This year, Sunday 5 May is International Dawn Chorus Day, when people all around the world will be getting up early to listen to the birds. Your local canal or river is the perfect place to experience the dawn chorus. Take a morning stroll by the water and let the melody of birdsong wash over you. Our research shows that spending time by water really does make us feel happier and healthier. There’s no better way to start the day. Our ecologists tell us there’s a pattern to which birds start singing first in the morning, but this can vary depending on the weather and where you are. The first bird to sing is usually the blackbird, and then it’s not long before other birds wake up and join in the chorus. Listen closely and you’ll hear the song thrush singing out its repetitive calls. The robin has a nice sweet song which sounds quite different. Soon after birds such as wrens, dunnocks and even woodpigeons start their various calls. By now the sun is rising fast and more and more birds will be singing. Across 2,000 miles of our canals and rivers, ducks will start quacking on water, warblers such as chiffchaffs or blackcaps will start their warbled song and swifts will start screaming in the sky. The more diverse the habitat is, the greater diversity of bird song you can enjoy. But what is the dawn chorus all about? Well, two reasons usually. The first is to tell other birds to stay away. 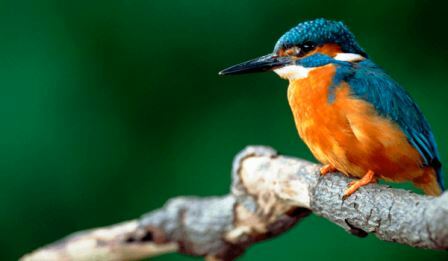 Birds are very territorial and some, such as the magnificent kingfisher, will fight an opponent to the death to defend their territory against other males. The second reason is to attract or communicate with a mate. Not all birds find partners straight away and some birds nest later in the spring than others. Birds also sing to keep in touch with their partner back at the nest, however these calls are usually quieter and less regular to avoid attracting predators. Hearing the dawn chorus is a proud moment for our people at the Canal & River Trust, who work hard year-round to protect and care for 2,000 miles of wildlife habitats. From the quiet countryside to our busiest cities – where canals often provide the only green/blue space – we’re dedicated to conserving the natural environment and helping local communities get closer to nature. 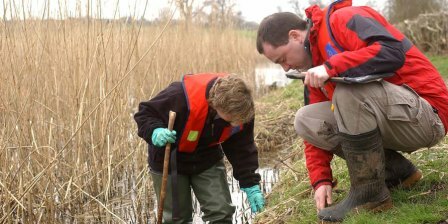 We do this through initiatives such as our Community Roots conservation project in Greater Manchester, which has helped to engage college students, school pupils and even nursery-age children in Sites of Special Scientific Interest along the canals in Greater Manchester. Alongside courses in traditional countryside management, the project has seen students joining work parties, constructing footpaths, conducting ecological surveys and learning valuable lessons about their local environment. While nature is abundant on, in and next to our waterways it needs careful custodianship to thrive. Thankfully our environment team exist to protect the prized natural environment of our waterways. Because of their work, the next time you visit a canal or river, you’ll have the chance to spot a kingfisher or water vole, dragonfly or butterfly – or listen to the dawn chorus, even from the centre of town. Could you be part of our team, working to transform canals and rivers into spaces where local people want to spend time and feel better? We have professional roles, seasonal roles and volunteer roles available right now. To find out more go to www.canalrivertrust.org.uk or receive all our latest news, offers and more by signing up to our newsletter.